Home » Concept vs. Production: will we be cheated by the next-gens? Concept vs. Production: will we be cheated by the next-gens? Having been thru so many new car introductions in our thirty year history in the hobby, it’s always interesting – and definitely more than a bit sad – to watch the almost endless cycle of great looking concept cars, followed by a so-so or often ho-hum production model. 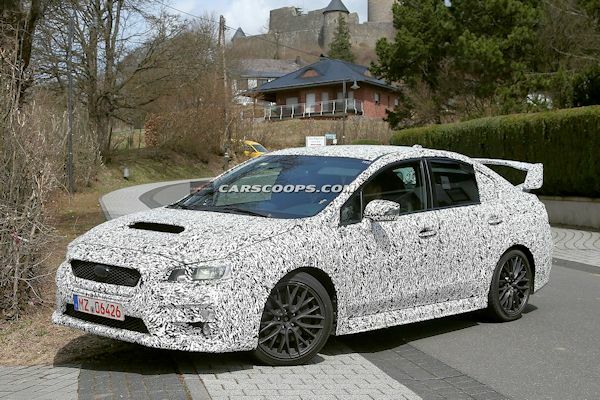 And then the final production model was spotted at the Nurburgring. It’s a Legacy, with model-specific flared front fenders, hood, front cap, rear fenders, rear bumper, and of course the expected wing. 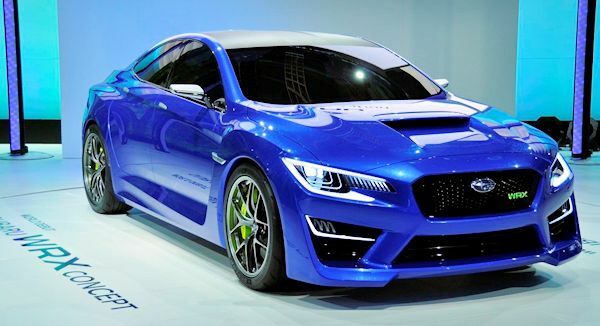 Some fans who believed that Subaru would build something like the blue Concept above were let down – even though it was clear that it never could have happened, especially given the budget Subaru operates under for the WRX and STI. It had to be based on a production car. Not only was the uber-chassis lost, the sharp styling was lost as well. Were we cheated? Yes. When will Ford learn? We’ll see. The production model for the 2010 model year was all but identical, including the huge bulk, terrible sightlines, enormous width, and the full concept interior with its terrible ergonomics. All that was dropped was some over-the-top orange treatment of the instrument gauges (which themselves retained the concept’s styling). 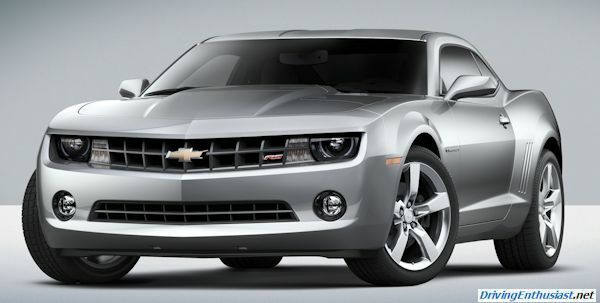 But it was popular and as acceptance grew it finally out-sold the Mustang. 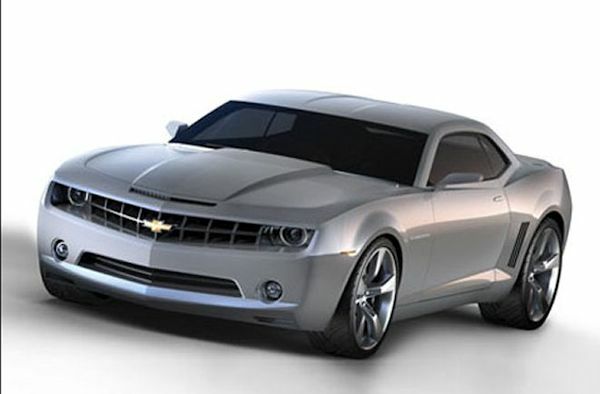 Now we are approaching a new round of ponycars: the Mustang will be all-new in 2015 (well, sort of all-new, being simply an evolution of the existing S197 platform), and the Camaro in 2016 (based on the all-new Alpha chassis, also shared with the ATS and CTS). The styling of the production car, like the Fusion and all new Fords going forward, is based on Ford’s 2011 Evos concept. As Alan Mulally says, when he steps off a plane in another country, he wants to be able to instantly recognize the local Fords. From spy pictures, including an underhood picture, we know that the 2015 Mustang has the same grill and swept-back headlamps. We’ve also seen pictures of several small-scale clay models in Ford’s styling studios – and while none of those are production (hundreds of drawings would have been made, and many of the most promising converted to clay), they do all show the same shape and dimensions as the Evo. 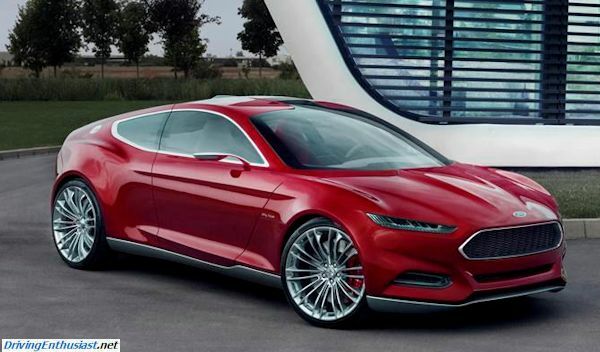 So the question is: will Ford deliver a concept of the 2015 Mustang before production commences (presumably in the spring of 2015)? And will that concept accurately preview production… or will reality again be cruel to us? If there will be a concept delivered, we may see it as early as the LA Auto Show this coming November, but traditionally it would be far more likely to appear in Detroit at the NAIAS in January. 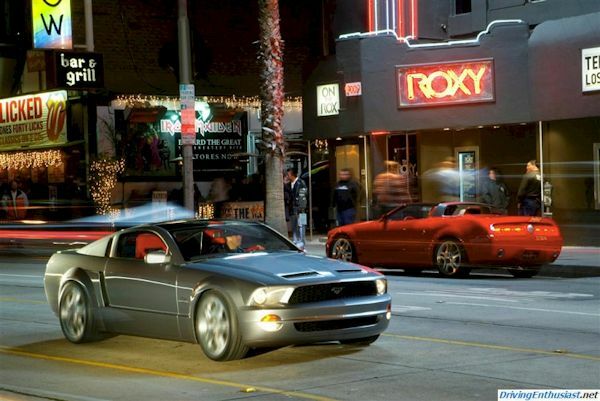 And while most observers are assuming that the production model will be shown at the Mustang Club of America 50th anniversary celebration event in April 2014, it’s possible that only a concept could be shown there with the production car introduced later. No doubt this is all being decided now… and we’ll just have to be patient in the meantime. And that, folks, is the car hobby.